AquaMax Eco pump innovation sets the new standard for pond pump technology, even at the entry level. 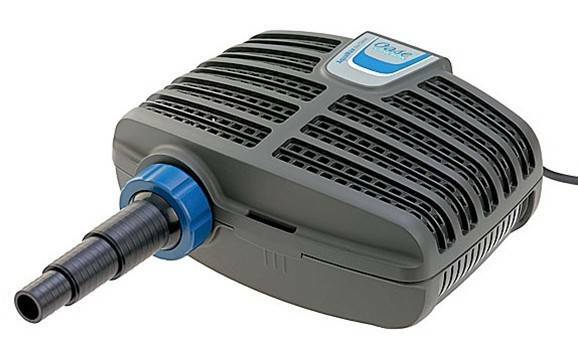 With an AquaMax Eco Classic pump you can upgrade your pond to use the latest in pond pump motor technology, resulting in a whopping 40% reduction in energy usage over similar pumps. And that's not all: built-in themal overload and frost protection ensure that your AquaMax will run for years; solids-handling ability means fewer clogs and better water quaility; and the included accessories allow you to setup your filter system without multiple trips to the hardware store for that "one, last fitting". Welcome to the future of pond pumps.